So – does he sing or dance? Or just beg for coppers for his bones? 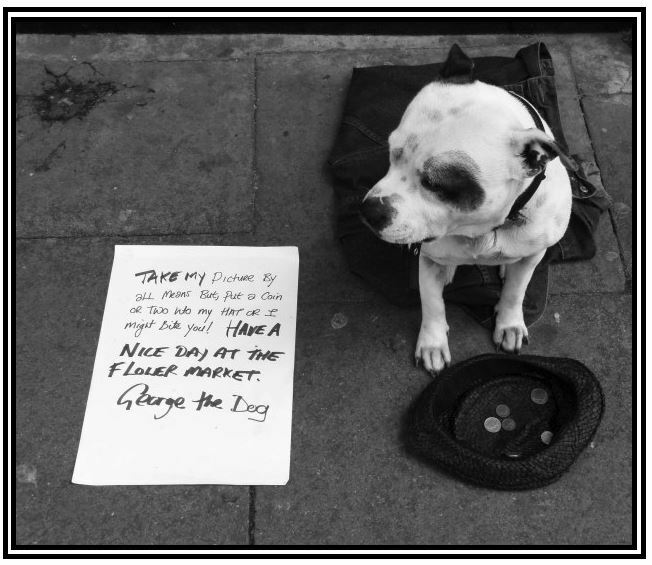 Nah, he just sits looking well behaved and cute, earning coins for his owner who stands nearby supping pints!